November 14 is a special day for those suffering from diabetes and those who are involved in the fight against this serious life-long affliction. It’s World Diabetes Day. On this day each year, the largest and most extensive diabetes campaign in the world is held. In fact, the global campaign reaches out to over 1 billion people in more than 160 countries! World Diabetes Day was created by the International Diabetes Federation (IDF) and the World Health Organization (WHO) as a means to address the need to raise awareness about diabetes as a critical global health issue. Aside from promoting advocacy efforts, the occasion is meant to encourage the public to confront this disease by taking coordinated actions against it. Diabetes can afflict any person, regardless of age, gender, and occupation. Despite measures to contain the disease, more and more people are getting it. In the last decade, the numbers have dramatically increased—jumping to almost 50 percent. Today, more than 30 million Americans are struggling with diabetes. Worldwide, more than 422 million people are suffering from this disease, according to the Diabetes Research Institute Foundation. A person who has diabetes has problems with the production or the function of a hormone called insulin. In case you didn’t know, insulin is responsible for converting the food we eat (particularly sugar) into energy. 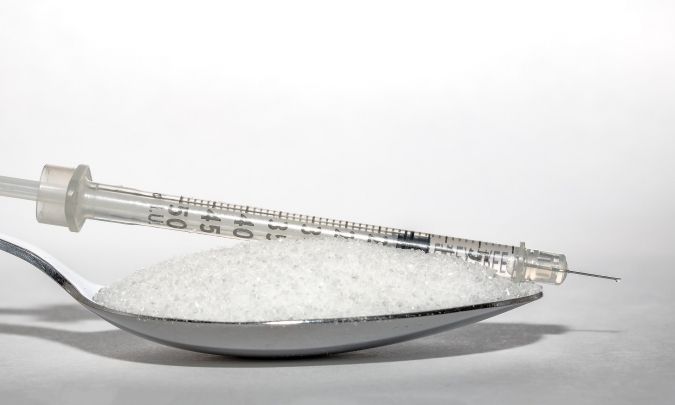 If the body doesn’t produce enough insulin, the result is a dangerous sugar buildup in the blood. If this isn’t dealt with, this will ultimately cause damage to the body’s vital organs, including the heart. 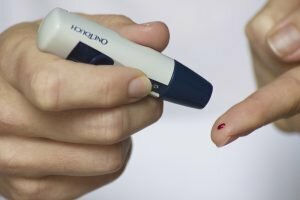 The two types of diabetes are Type 1, which occurs mostly in young people and is caused by the inability of the body to produce enough insulin; and Type 2, which develops over time because of obesity or lack of physical exercise. A person who has diabetes shows these warning signs: loses weight quickly, always gets tired, hungry, thirsty, and frequently goes to the bathroom or complains of blurred vision. If anyone you know exhibits these signs, take them to the doctor as soon as possible. If you have been diagnosed with diabetes yourself, make sure to take your meds as prescribed. Exercising and eating right will also help keep your diabetes under control. Do you have someone close to you who has been diagnosed with diabetes? To most people who are living with diabetes, family and friends become their lifelines. Did you know that according to research, patients can manage their diabetes better with their loved ones supporting them all the way? Learn all you can about diabetes. The more you know about this disease, the better you can understand what your family member or friend is going through and the more you can help them. While you’re at it, you can encourage them to read about diabetes as well so that they’ll be less resistant to the lifestyle and dietary changes that they need to make. If you’re not a medical expert on diabetes, spare your family member or friend from pieces of unsolicited advice even if you mean well. The last thing they need is a lecture on outdated or inaccurate information about their illness. There will be times when your family member or friend gets frustrated with all the dietary restrictions that they have to adhere to. You can become their diabetes buddy if you offer to join them for a run or if you take them out to a restaurant that has an awesome selection of healthy meals. Remember that you’re not the diabetes police. When your relative or your friend misses the mark when it comes to taking their medication or anything that goes against what their doctor advised them to do, you don’t have to emotionally pound them with an iron fist and make them feel as if they’ve become criminals. However, you can tell them that you’ll always support them no matter what and that as much as possible you’re trying to avoid telling them what to do. After all, you’re talking to a functional adult. Just keep an eye out for any sign of hypoglycemia such as frequent yawning, sweating, seizures, twitching, loss of muscle coordination, fainting, inability to speak or think clearly, and extreme fatigue. Never assume that you know what a diabetes patient is going through and don’t ever attempt to be a mind reader. Ask them if they need you to go with them to a doctor’s appointment or if they need help with the insulin shots. If your friend or family member insists that they can manage, you can just reassure them that they can ask for help anytime they need anything. Know that there’s a very thin line between being supportive and being a nag. If you follow the five tips we just mentioned, we guarantee that your loved one will be reassured that they’re not going through diabetes alone. Diabetes can strike even the toughest of men or women, including our veterans, who are especially vulnerable because of their advancing age. The problem is that many of our veterans lack the money to get adequate medical care, and they badly need assistance. You can help provide such assistance by teaming up with us at Veteran Car Donations and donating a vehicle you no longer need. We sell at auction all vehicles donated to us and use the generated funds to support our nonprofit partners that deliver vital services to needy veterans. They include those who are suffering from service-connected disabilities, other physical and mental health issues, lack of jobs, poverty, and homelessness. While your vehicle donation will directly benefit our veterans, you too will get your own share of rewards, including a top tax deduction after your vehicle is sold at auction. On November 14—World Diabetes Day, let’s show our nation’s heroes that they’re not forgotten. Call us at 877-594-5822 and get free towing service for your car donation.